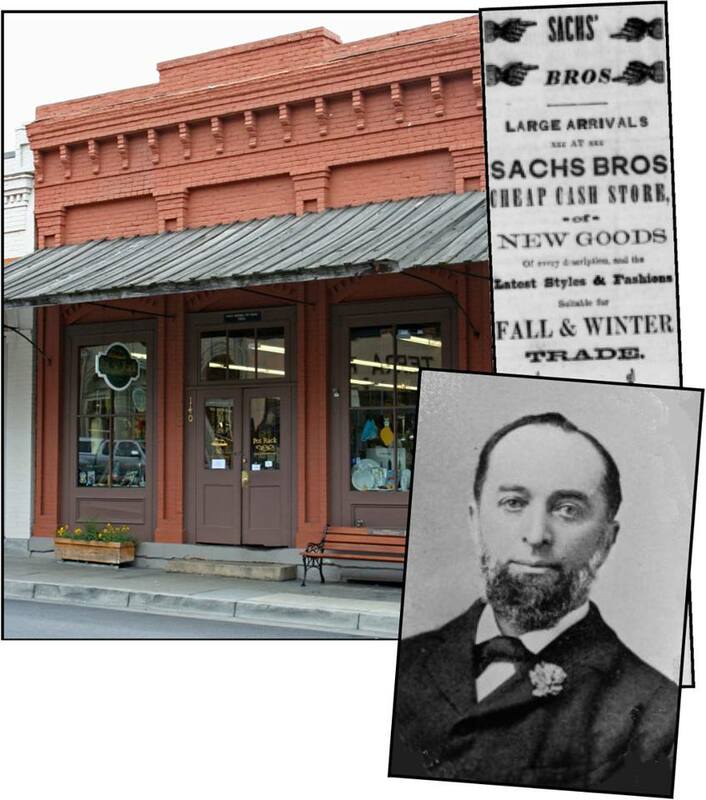 Sachs Brothers Dry Goods | Historic Jacksonville, Inc. The brick building now housing Jacksonville’s Pot Rack at 140 West California Street is historically known as Sachs Brothers Dry Goods. However, the site first housed Mathew Kennedy’s tin shop and then Dr. Louis Ganung’s office and residence. The current brick structure was commissioned in 1861 by Lippman and Solomon Sachs for their Temple of Fashion, featuring ladies’ wear and dry goods. It was one of the town’s most successful early businesses, and Sachs brothers ran it for the next 15 years.